An Elf-haven on the southern shores of the Gulf of Lhûn, whose name in fact means 'south-haven'. It was located in a small inlet about 150 miles west of Mithlond. There is some minor confusion over the precise location of the Harlond.  Working solely from the text, it would be reasonable to take it as one of two havens, either side of the Gulf, that together made up the Grey Havens, with the other being the Forlond on the north shore of the Gulf of Lhûn. Not only would this explain why Mithlond was known as the 'Grey Havens' rather than simply the 'Grey Haven', but there's also apparent textual evidence for this reading. When Eärnur of Gondor sailed a great fleet into the Grey Havens, we're told that '...the Harlond and the Forlond also were filled; and from [Eärnur's ships] descended an army...' (The Lord of the Rings Appendix A I (iv)). The most direct reading of this would probably be that the Harlond and Forlond were part of the Grey Havens themselves, especially given the reference to 'an army' as apparently a single force in a single place. On the other hand, the maps included with the Lord of the Rings show the Harlond much further down the Gulf - in fact nearly a hundred and fifty miles from Mithlond (and with the Forlond farther away still on the northern side). 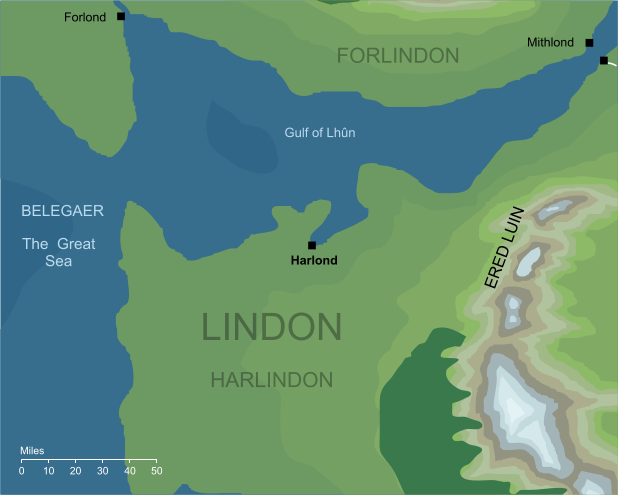 Following these maps, the Harlond and the Forlond were entirely separate from the Grey Havens, so that there were three distinct havens within the land of Lindon. If this is the case, then Eärnur's army must have debarked in three widely separated locations and assembled together at Mithlond. If so, this operation isn't mentioned in the text, but neither is it directly contradicted. Indeed the use of the word 'also' in the reference above could be taken as implying that the Harlond and the Forlond were not directly part of the Grey Havens. On the maps presented within the published Lord of the Rings, the names 'Harlond' and 'Forlond' appear rather ambiguously, without an obvious point of reference other than a vague region. Fortunately, this situation is essentially resolved by reference to the original versions of the maps (in volume 7 of The History of Middle-earth). There, the Harlond and its counterpart across the Gulf are shown as distinct ports, with the haven of the Harlond lying at the head of a small inlet on the Gulf's southern coast labelled 'South Haven (Harlond). On that basis, we can say with some confidence that the Harlond was a quite distinct haven far from Mithlond. As discussed in note 1 above, the label Harlond appears on the maps in The Lord of the Rings, but there it marks only a vague region on the northern coasts of Harlindon. The more precise location of the haven marked on the map for this entry is based on the original maps included in volume 7 of The History of Middle-earth, which place Harlond more exactly at the head of a broad inlet flowing into the Gulf of Lhûn. Original content © copyright Mark Fisher 2000, 2017-2018. All rights reserved. For conditions of reuse, see the Site FAQ.